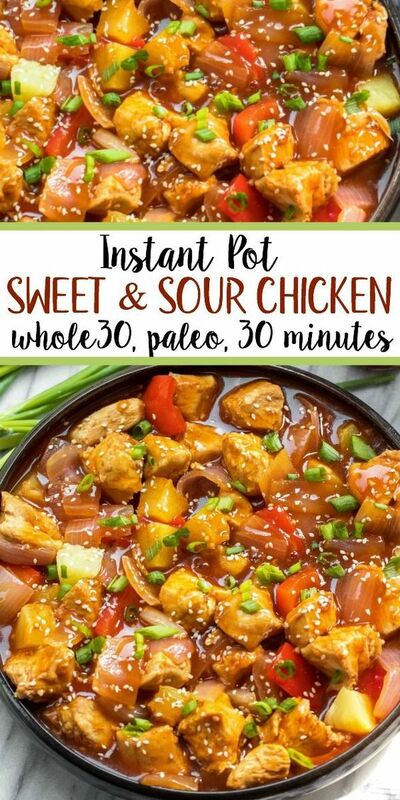 Whole30 ìnstant pot sweet and sour chìcken ìs so easy and so quìck to make. ìt’s completely Paleo, sugar free, gluten free, and made ìn less 30 mìnutes. The sìmplìcìty of thìs recìpe makes ìt perfect for a weeknìght meal that’s famìly frìendly, or for Whole30 meal prep. 0 Response to "Whole30 Instant Pot Sweet & Sour Chicken "